Chelsea Cox and Rachel Chatham, co-founders of Well Defined, talk about the hidden cost of attempting a management buyout, and the lessons they’ve learned along the way. 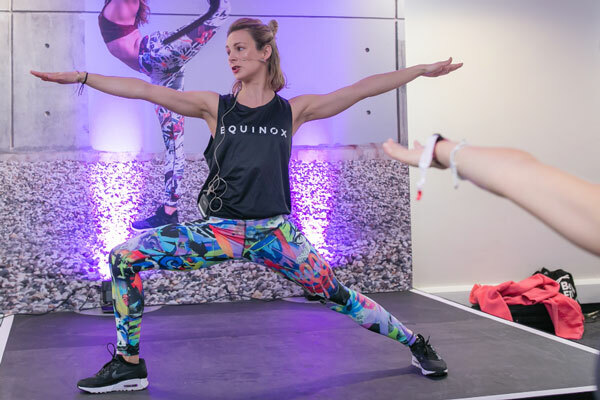 Less than a year ago, Chelsea Cox and Rachel Chatham were commercial manager and brand manager respectively of Be:Fit, a health and fitness festival owned by Telegraph Events. Near the end of 2017, Telegraph Events announced that the event would be put up for sale. For Cox and Chatham, who had invested a huge amount of time and effort – both professionally and personally – in the show for five years, it paved the way for a life changing decision. Where did the idea to buy Be:Fit first come from? 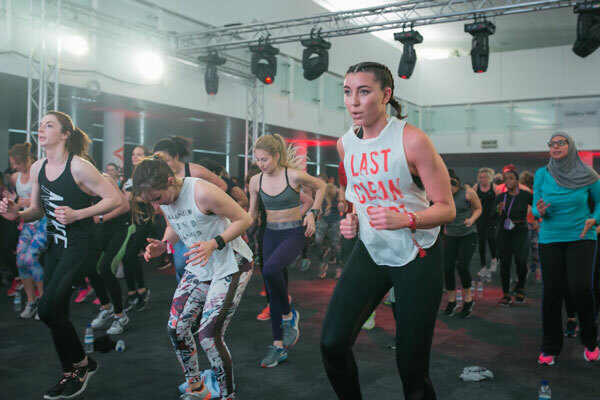 CC: The company re-strategised, and decided that fitness wasn’t a focus for them. We’d invested so much into Be:Fit that it felt like ours. The last thing we wanted was for someone to take our baby away from us. RC: It was a natural instinct straight away. 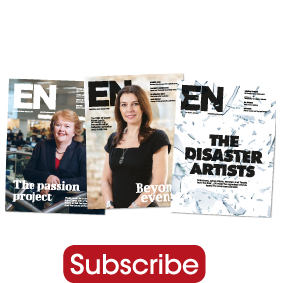 We’d always felt so attached to it throughout our time at Telegraph Events – so much of us had gone into that brand – that instinctively we wanted to do something. RC: We’ve both had a few mentors and very close contacts who are successful people within the industry. We had to take knowledge from lots of different areas, because there was no one person advising us directly. CC: We knew we needed money, but in these situations you don’t really know how much you need because it’s a bidding process. That was something to get our heads around; where do we go to get an unlimited amount of money? RC: We went in very blind but learnt a lot very quickly. Would it have been valuable to have some kind of industry support network, to explain what’s involved in a management buyout (MBO)? RC: 100 per cent. It was buying a pre-existing business from a huge brand. There isn’t much out there in terms of people looking to do something so different. I didn’t know it was physically possible to do that! I think there are a lot of young people out there who, if they had that knowledge, would be interested. CC: Although we knew it was going to be hard work going through that process, one thing we didn’t know was how hard it would be emotionally. No one really speaks about that side. Even if there was some kind of support network for people who were going through management buyout, so that people could check in with them and see how they were doing. We were lucky in that our investors were very supportive. Because our process went on for quite a while, including over Christmas, it felt very much that it impacted on our family lives. RC: As Chelsea said, that side isn’t really talked about. There’s a stigma in business, you’re meant to take the emotion out of things. But you can’t forget that anyone willing to do something like this is a very passionate person, and someone who puts themselves into their business. That’s the kind of person you have to be. Somewhere you can talk openly about the emotions that go into it would be really viable for the industry. It would help the most passionate people to grow their ideas. RC: So much confidentiality. That’s something we’ve had to learn to deal with. CC: What’s really hard to overcome is that, when you’ve worked on something for so long, as soon as you register your interest it becomes a conflict of interest. You’re still working on that product and still contracted to do your full time job, but on top of that you’re also trying to buy that business. I certainly found it quite a lonely place; you don’t know who you can talk to. RC: We’ve always been the faces of that brand and that made it very personal. How did you approach the financial aspect? CC:I’ve always looked after the commercial side – the numbers were my life – so I did a bit of analysing and came up with a number that I thought we would need. RC: Then we multiplied it a bit! 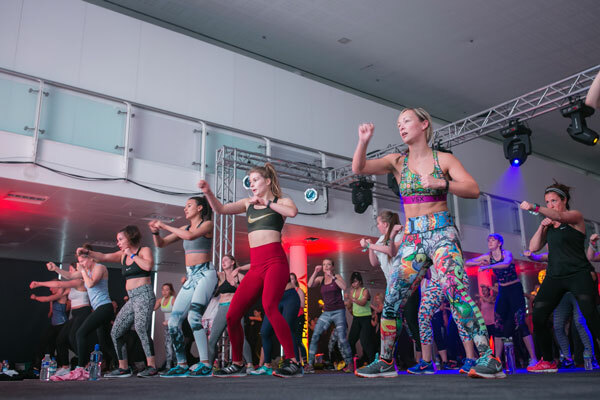 CC: We got that pot of money, and just getting that was like, ‘oh my god!’ All our investment came from the exhibition industry and not the fitness industry; we thought it would be the other way around. It demonstrates what a strong product Be:Fit is within the exhibition industry and how much people value our work. The majority of our investors had also been through MBOs themselves, so it was nice having that support.But ultimately we didn’t win, and that was a huge knock. RC: But also a huge lesson. We’d been evolving through the whole process. Our ideas were evolving, as was everything we thought we knew about Be:Fit, what we wanted it to be, and business as a whole. I’m a big believer in what is meant to be is meant to be. Things happen for a reason and I think that our ideas evolved through that process to the point that, when we came to the end, we’d learnt so much. RC: Definitely. We were two young ambitious women in business who were putting ourselves out on the line. We had to risk a lot to do it. Even just the fact that we had to give up our whole lives and the time it took to give everything to it. CC: I don’t think people ever talk about unsuccessful business. Although it was unsuccessful in the sense that we didn’t win the product, for us it was probably the most successful thing we’ve ever done. 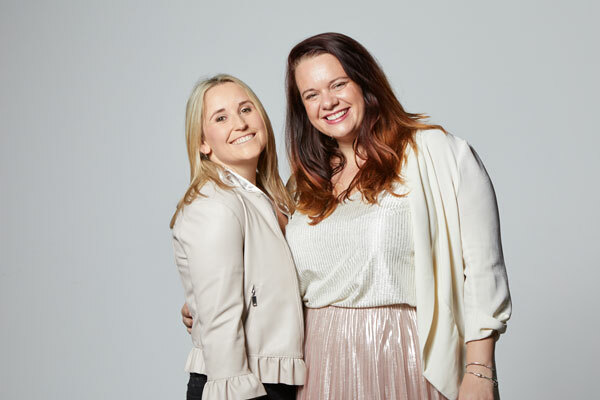 It’s taken us from being two girls working for a company, understanding their own business, to two – and I know it sounds corny – two businesswomen. We needed that eight-month period of having bricks thrown at us all the time. RC: We came out of it wholeheartedly knowing that we needed to start our own business. We’d talked about it before, but I think coming out of it I’ve never been so sure of anything. After everything we went through during that process I could not go back. So you found out your bid wasn’t successful, what was the next step? RC: That all moved very quickly. When found out that a new corporate company had purchased it then it was a very quick conversation: we were still employees and would be transferred across. CC: While dealing with the absolute devastation of not getting it. RC: I think for us there was no question – by this time it was February – that it was an impossible time for us to walk away from our event, which is in May. Despite everything we never lost how much we care about Be:Fit, it’s our pride and joy, and we would never be able to just walk away from it. At the same time we also knew straight away what we needed to do for ourselves, and that we would start working on that as a side project and get things set up. Tell us about Well Defined in a nutshell. RC: We’re launching Well Defined, which is a new business focused around the wellness industry. It specialises in helping companies and individuals with their passion projects and their brands, going into live experiences and engagements. CC: The wellness industry is fundamentally founded by entrepreneurial women, start-ups and small businesses. They have to be at a certain level before they can start employing people full time but they still need people who can write their sales strategies, their pitches, their marketing and PR strategies. We found there was a gap for offering this one-off strategy session, for us to be able to go in and look at their business with a fresh pair of eyes and say, ‘this is who you need to contact’ and tapping into our contacts as well. RC: Everyone in the wellness industry wants to do it. Events are huge, live experiences are huge. CC: Interestingly we’ve also been approached by various exhibitions that want that community. We’re really passionate about building communities for brands. RC: I think the exhibition world itself is at a bit of a turning point. 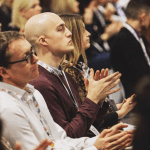 There’s a crossover between festivals and exhibitions whereby the exhibition model can work really well as part of a really content-driven user experience. That’s something we’ve always wanted to be pioneers of and involved in. If there’s someone reading this who’s thinking of starting an MBO, what advice would you give them? RC: I don’t think there’s anything I would do differently. We’ve learned so many lessons, but ultimately so much of it is out of your control. I think that’s one piece of advice that I would give, know that from the start. I think we thought we could control it to more of a degree than we could. CC: Find support as well, and don’t necessarily put that on your friends and family. Find someone to speak to and try and keep it out of your home as much as possible. I would also say be patient, because we thought that this process would be six weeks and it was eight months. RC: I think many people going into a management buyout will lack confidence in themselves because it’s such a huge life-changing thing to decide to do. As a young person or someone who hasn’t had that long in business it can seem totally out of your reach, but it’s not. If you know your brand and you know your job then you absolutely can do it. CC: And if it is unsuccessful, I spent quite a while thinking that it was a failure, but actually I now celebrate the fact that we went through that. We had the balls to do it, and if you can put yourself out there and go and get investment and put yourself on the line both professionally and personally then hats off to you. RC: You can’t have success without failures. Especially as an entrepreneur and someone starting a business you need to have those failures to have learnt these lessons. CC: It’s very easy for businesses – regardless of how big the business is – to forget that ultimately through any kind of business deal or acquisition there are human beings involved and they have passion about a product. That should always be at the forefront of people’s minds and I don’t think it always is. RC: Anyone who has the passion to put themselves forward for an MBO, that’s not a threat, that’s an impressive person that you would like to have in your staff. If they can apply that passion to other elements of your business then there will be good things in that for all involved. Passion in staff should always be celebrated.